Apple’s stock market capitalization (AAPL) has not yet quite surpassed Microsoft’s (MSFT), but the value of its actual business is now higher. Wow. That’s a lot of info that I just don’t understand. Thank God they explain it. A company’s stock market capitalization includes the net value of the cash and debt on the company’s books.Â To figure out the imputed value of the company’s actual business, therefore, you have to adjust for the value of those other things. As of yesterday’s stock market close, Apple had a market capitalization of $223 billion.Â Apple has $23 billion of cash and no debt*.Â Apple’s enterprise value, therefore, is $200 billion (per Yahoo Finance–see clarifying note below*). As of last night, Apple closed at 222.12 billion, and Microsoft closed at 219.18 billion. So what does this mean for the devoted Apple faithful? Well first off, if anyone tells you that Apple doesn’t have a viable computing platform, you can tell them to pound sand. 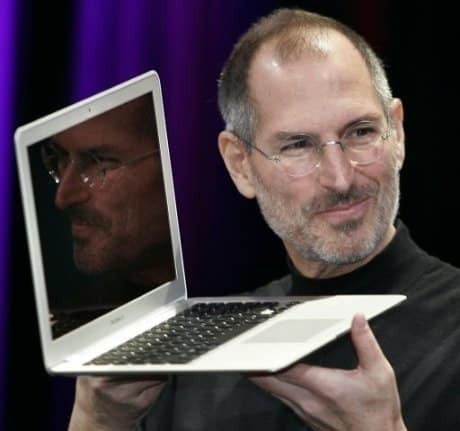 Yes, a good portion of their income was derived from iPods, iPhones and other accessories, but it all start with a computer – the same computers now being sold daily. Or you can look at this in a negative light, and say that Apple wouldn’t be so high if Microsoft hadn’t been sucking so hard in the past few months. I say be positive, but who am I?